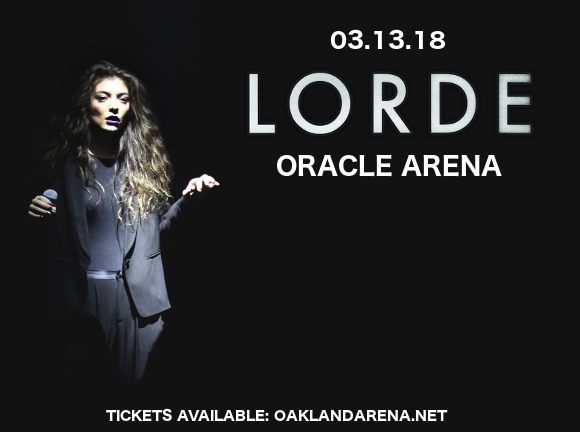 Fans of artpop and indietronica, get very excited – the show of the year is coming to the Oracle Arena on Tuesday 13th March 2018 – that’s right, it’s star that brought you “Royals,” – Lorde, coming to the Oracle Arena for one unmissable night! Tickets are already flying as we get closer and closer to the LIVE event – don’t wait around as they aren’t going to last much longer!! Grab yours today! “North America I would never forget about u – let’s dance,” the New Zealand singer-songwriter wrote in a tweet, before announcing the dates for 2018’s massive upcoming tour, with stops in 30 cities across the United States!! Promoting the album with an appearance on The Tonight Show, she performed her song “Perfect Places,” giving fans a taster of what to expect in the year to come!! After the success of her first album, “Pure Heroine,” Lorde set the bar very high for herself with the second, but “Melodrama,” released 5 years after her debut, did not disappoint. Released to rave responses from audiences and critics alike, we can hardly wait to see the new material performed live!!! Be there – book your tickets to see Lorde live NOW! !